I never stopped loving you. 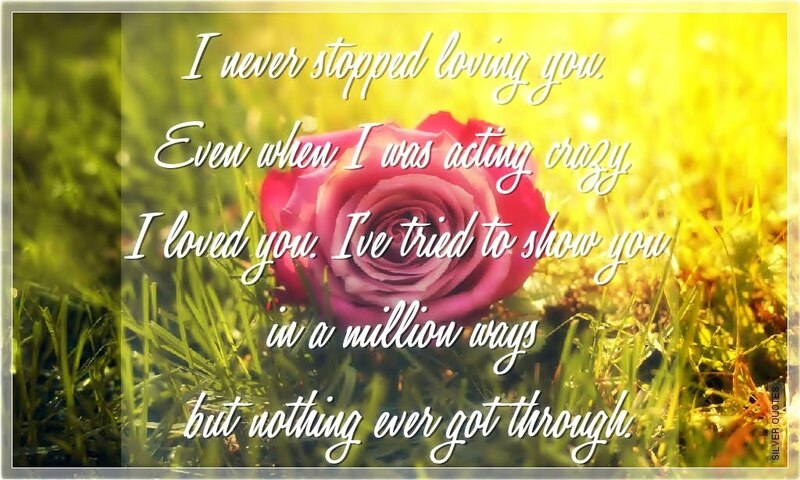 Even when I was acting crazy, I loved you. I've tried to show you in a million ways but nothing ever got through.